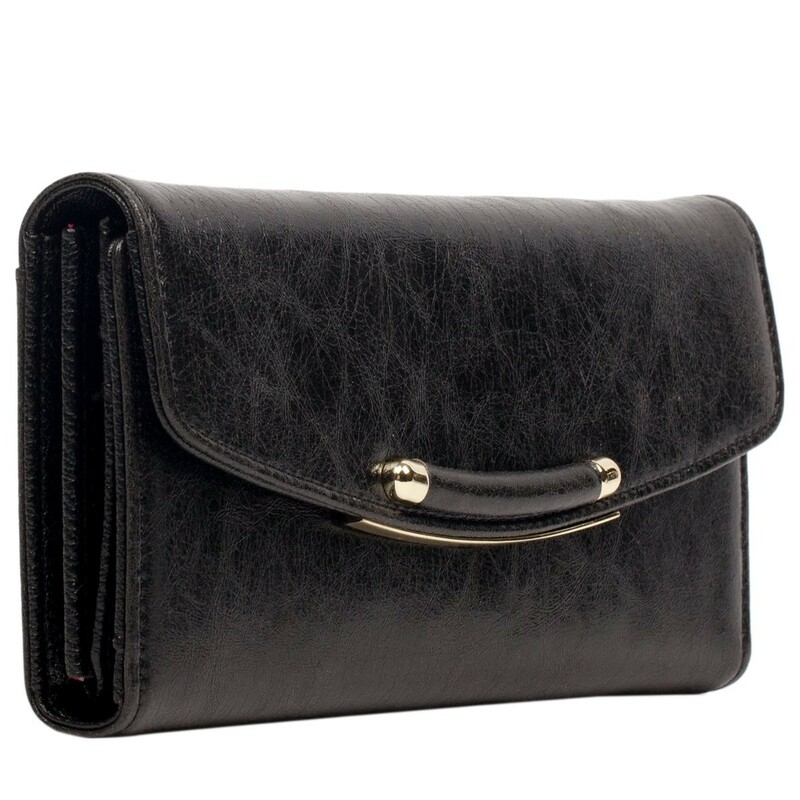 This classic shape is simple in design, yet powerful in style. 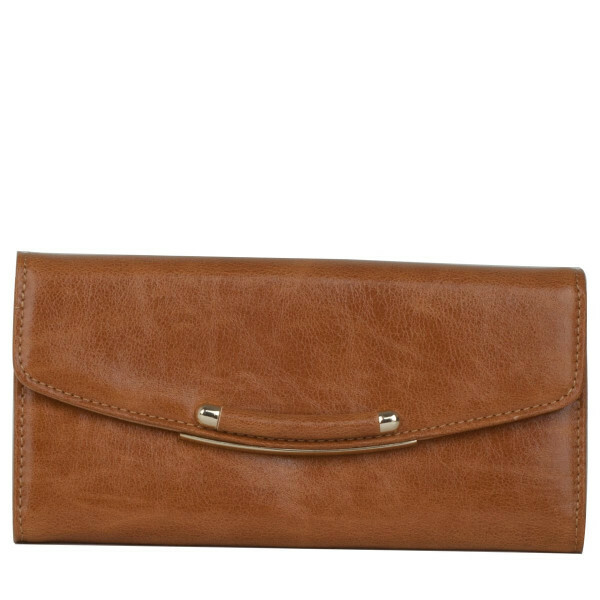 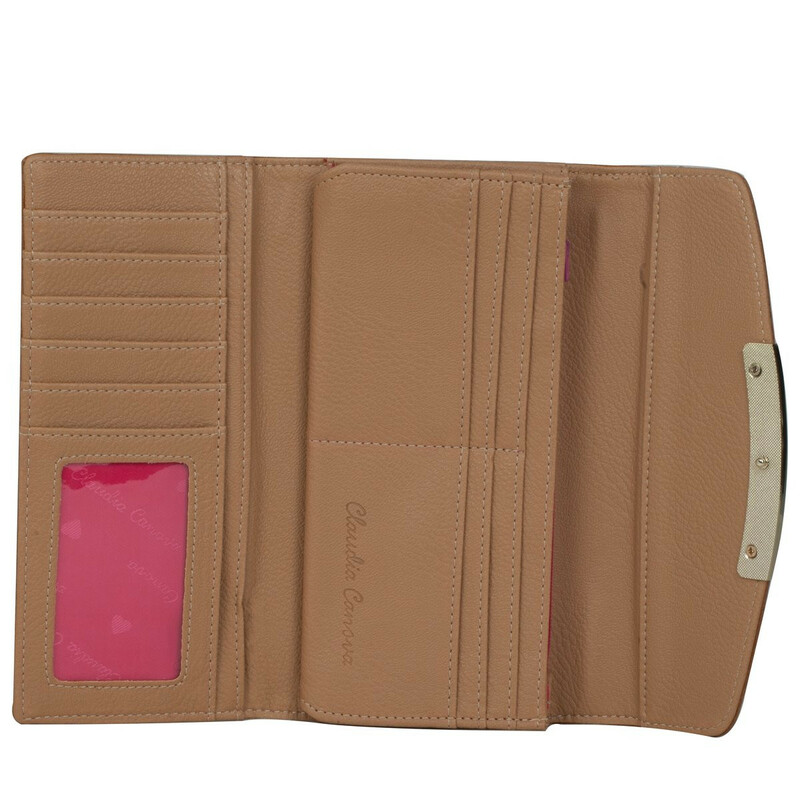 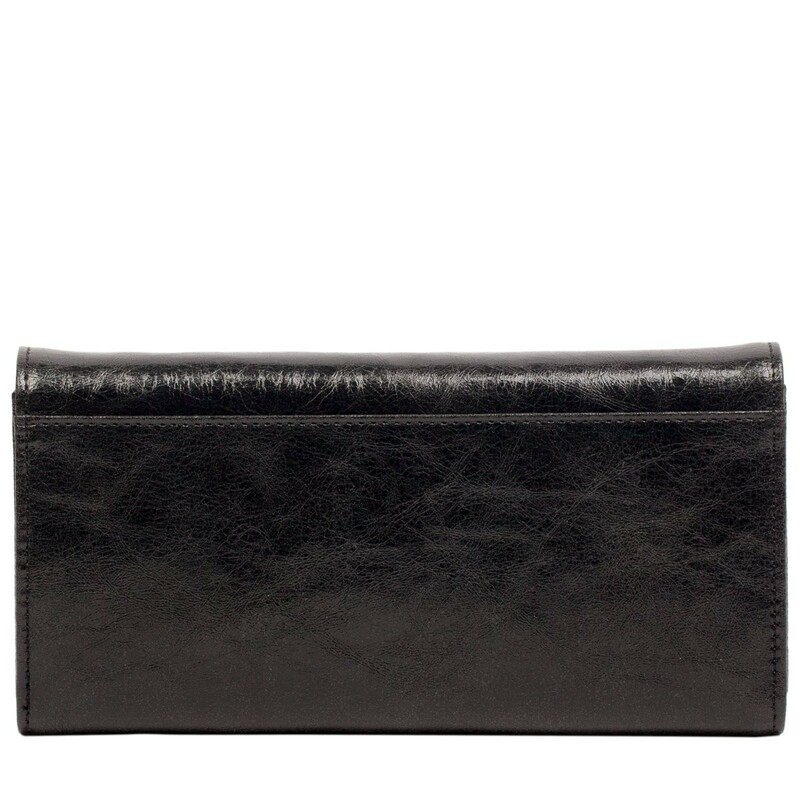 Crafted from a lightly textured leather, this is the perfect fashion accessory to carry your currency. 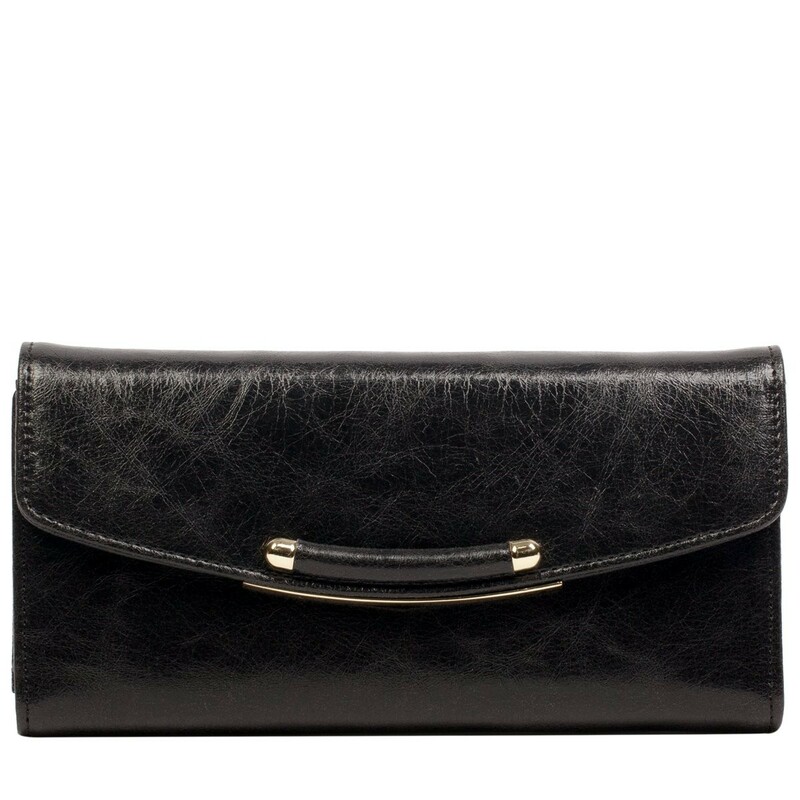 The flap over style is fastened with a clasp and neatly trimmed with gold hardware. 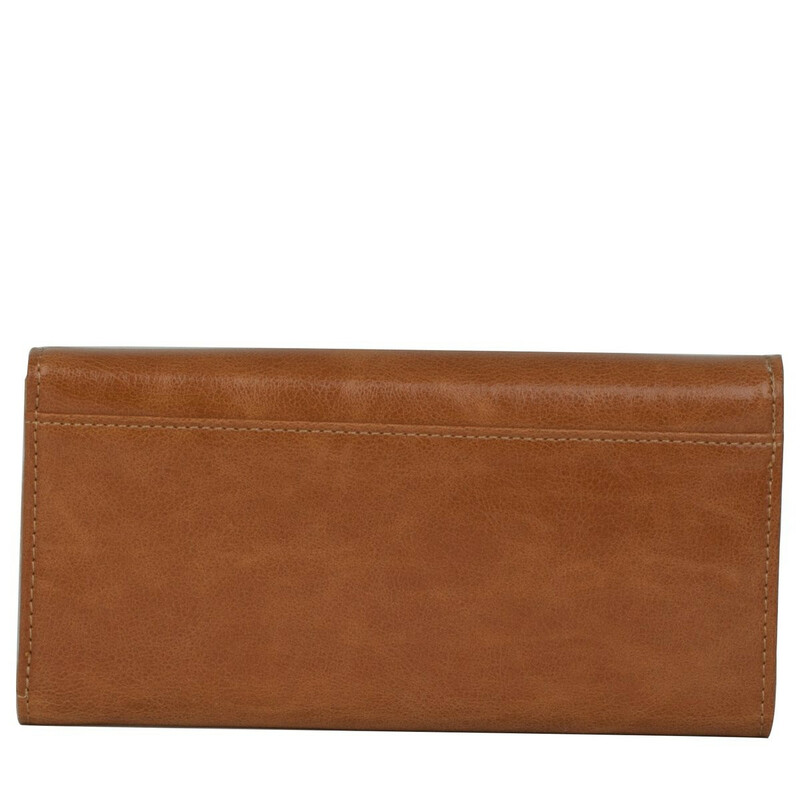 The stitch detail around the outside adds a high quality feel. 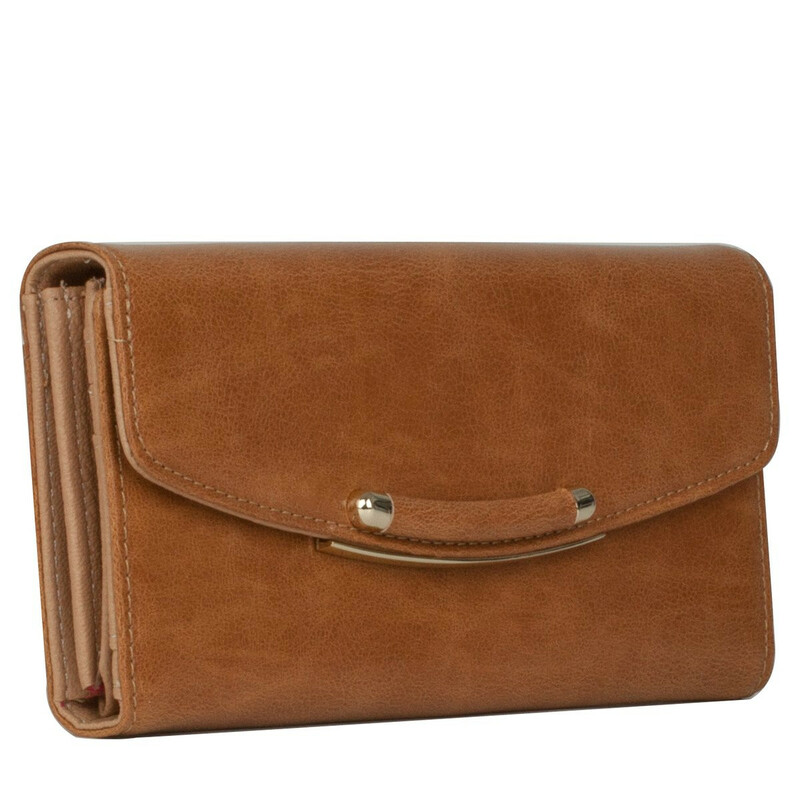 Room for plenty of cards, paper money and receipts inside, with a transparent ID window and a zipped pocket for holding coins.